I absolutely love avocado. It’s super high in fat and calories but I keep telling myself “it’s the GOOD kind”. Right? I can pretty much find a way to add avocado to anything. We won’t talk about all the times I just cut one in half and eat it with a spoon. I recently read a post on The Kitchn about cooking an egg inside an avocado half. Cooked avocado? Now, that I’ve never tried. I do make omelets with avocado but I just put it on top at room temperature. I decided that I need to try this. I have a feeling it will either be astonishingly good, or vile. Nothing astounding here. It wasn’t gross and it wasn’t great, but it sure looked pretty. I think cooking the avocado took away some of the flavor, and it needed salt. Next time I would season the avocado before adding the egg. Also, I cooked the egg too long. I’m a dipper but I ended up with hard yolks. Apparently they keep cooking after you take them out. This recipe is all the rage lately so some people must be loving it. 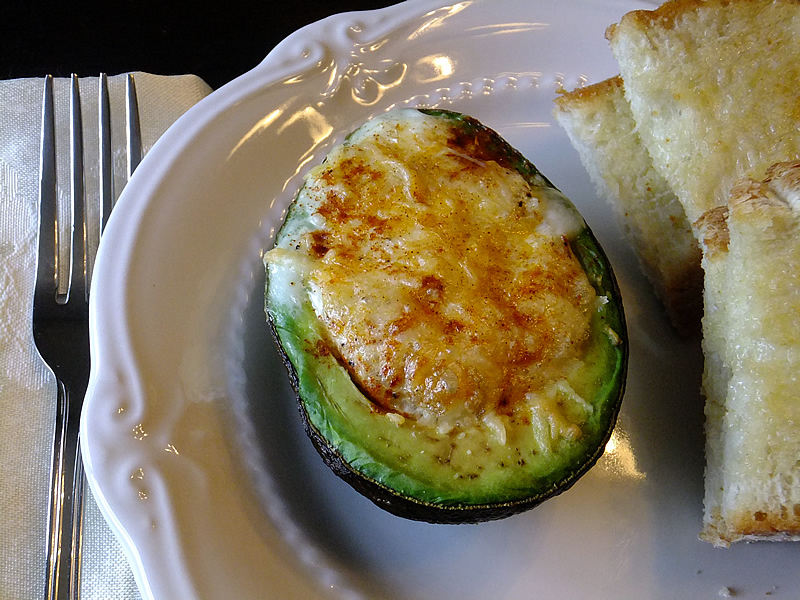 If you’re an avocado addict it’s worth trying just to say you did. 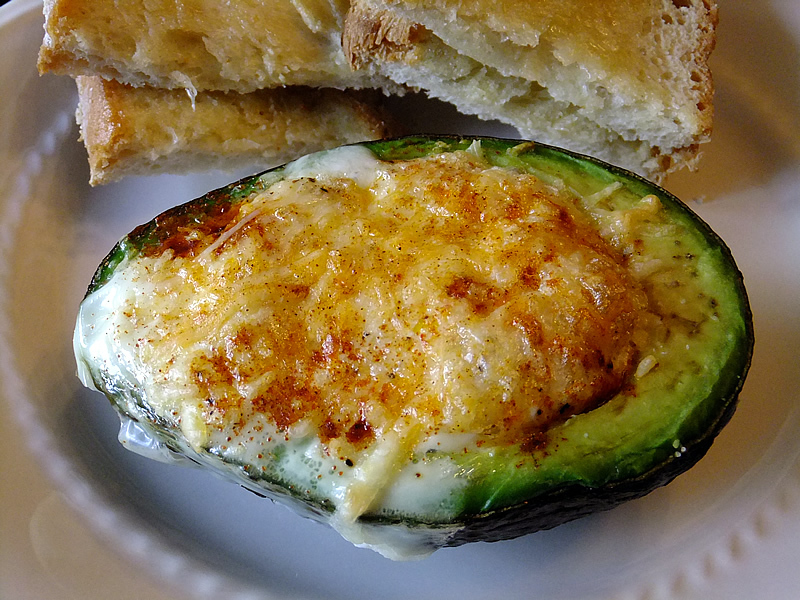 Looks awesome, i gotta try this as eggs and avocados are two of my favorite foods! Julie this is such a great idea for you to be blogging! Add me to your 600 readers! Love my avacados and yes I eat them with a spoon right out of the shell as well! Glad you are honest about the results!